On June 16th, 2015, Nathan Eovaldi returned to Marlins Park to show the Marlins what they missed out on by trading him. Eovaldi didn’t get past the first inning, recording just two outs before being removed with an ugly eight runs allowed on nine hits. It was the worst outing of his career, underscoring the worst start to a season of his career. Through 13 starts, Eovaldi had a 5.12 ERA and was on pace to give up 54 more hits than he did in 2014 (when he led the National League in the category). 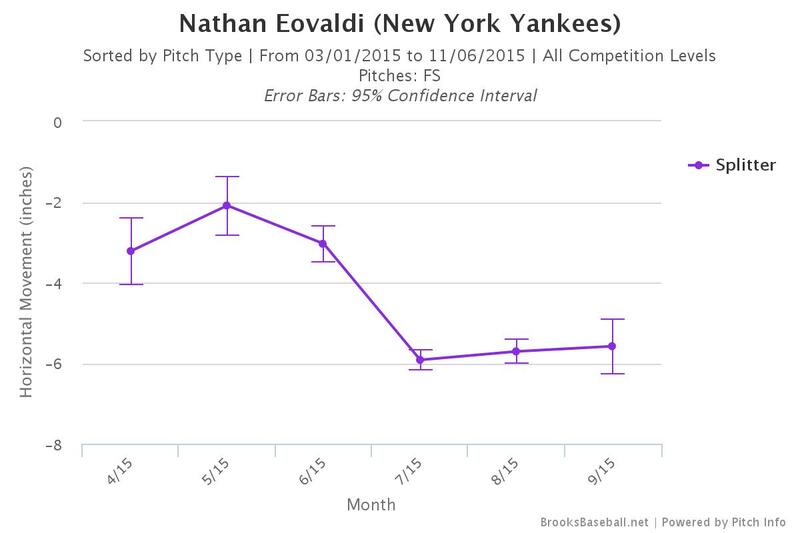 To make it worse, Eovaldi’s peripheral numbers didn’t point to an eventual improvement. His FIP sat at 4.09. The Yankees, along with pitching coach Larry Rothschild, were supposed to fix Eovaldi: turn him into a ‘pitcher’ from a ‘thrower’ and improve his secondaries to match his fastball. But by mid-June, things had only gotten worse. After that fateful game, though, Eovaldi’s performance drastically changed. From that point on, Eovaldi pitched to the tune of a 3.43 ERA and 2.86 FIP, beginning to emerge as a real weapon on the mound. The “amazing action” that McCann referenced manifested itself in his horizontal movement on the pitch. This new grip added a couple more inches of drop. Not only was the pitch harder to hit, but now Eovaldi trusted it more. The splitter began to be used in the place of his fastball in some scenarios, and allowed him to partially shelve the curveball and slider, which simply were not effective. 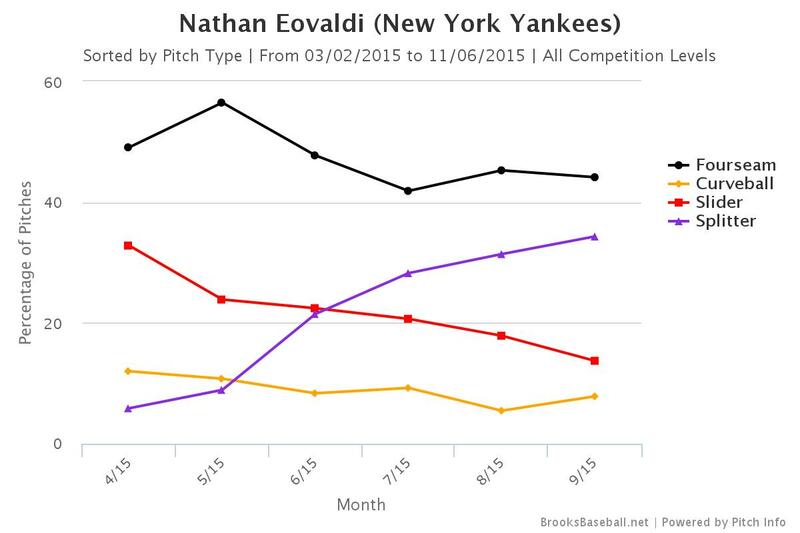 The new mix in pitches is what turned around Eovaldi’s season. Previously, hitters went up to the plate looking for Eovaldi’s fastball. He didn’t have any other pitches worth worrying about, so they could sit on his straight fastball. With the addition of the splitter, things were different. Hitters couldn’t just ignore his secondaries and crush the fastball, they had to watch out for the splitter. The two pitches benefited one another. Thanks to the splitter, Eovaldi’s fastball went from being hit like a well below-average pitch to an at least average one. His fastball had a .450 batting average against in April, and a .364 BAA in May. Increased trust in the splitter allowed these high averages to give way to a .271 mark in June, then .326 in July (not great, but certainly an improvement), and an impressive .243 average against in August. The batting average on his fastball isn’t the only thing that changed for Eovaldi. The 25 year old, in nearly all facets of the game, improved—not just from the first half of 2015, but from his entire career. While it may seem a bit foolish to say that Eovaldi is suddenly a significantly better pitcher based on a couple months of data, it isn’t. Eovaldi is a significantly different pitcher now, and the recent changes have made him a much better one. In terms of statistics, nothing points to his success being unsustainable. Unfortunately, there is one thing that can’t be seen in statistics that represents Eovaldi’s biggest risk. That, of course, being his elbow. Eovaldi’s breakout season came to an end on September 5th due to right elbow inflammation. Those three words are some of the scariest a pitcher can hear. It doesn’t always mean a torn UCL and Tommy John, but it’s often a precursor. Although tests on Eovaldi came back negative and he would’ve been on the Yankees ALDS roster if they had won the Wild Card Game, it doesn’t mean that Eovaldi is out of the woods completely. We’ll know more about the situation, which is hopefully nothing more than some swelling, come Spring Training. This injury, though, could be a side effect of his increased use of the splitter. The splitter is one of the nastiest pitches in baseball, but few pitchers throw it these days. This is due to the reputation that the pitch wrecks elbows. 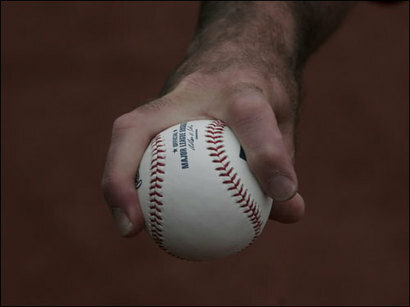 The grip and mechanics, specifically spreading fingers to grip the pitch, puts stress on the elbow. There are plenty of teams in the MLB that have discouraged the use of the splitter because of its unique grip. A 2011 New York Times article revealed that the Angels, Twins, Giants, Reds, Padres and Rays, among other clubs, shy away from the pitch, and it seems that many pitchers who throw a splitter have had a decrease in fastball velocity. Although this is the reputation of the splitter, numbers don’t support this notion. An article from Beyond the Box Score found that splitter usage in pitchers did not effect their average time on the DL compared to other pitchers, and Doug Thorburn was unable to find numbers that correlated splitters to an increased injury risk. A common saying about the splitter is that it isn’t throwing the pitch that causes injuries, it’s how you throw the pitch. If Eovaldi is throwing the pitch with good mechanics, there may be no reason to worry. But considering that he started to throw the pitch under a year ago, poor mechanics could be the culprit. If Larry Rothschild can find an issue with Eovaldi’s mechanics, and fix it, that would be ideal. But, that’s not as easy as it sounds. The Yankees may instead have to limit the amount of splitters Eovaldi throws. A good number may be 20-25 a game, which is what Dan Haren limited himself to over his career. After June 16th, Eovaldi averaged 29 splitters a start, so limiting him wouldn’t be too drastic. Eovaldi threw the pitch just 10 times on average up to June 16th, and there’s a decent chance he could find success with a less extreme number. Then again, if the Yankees want Eovaldi to hit his considerable upside, it may take an even greater use of the splitter in 2016. There’s no good answer for what the Yankees should do here, so we will have to wait and see what the team does next season. It may be smartest to allow Eovaldi to use the pitch like he did late last season, and let him show off his best stuff. After all, numbers wise, the correlation between the splitter and injuries is not there. If that’s the case and Eovaldi stays healthy, 2016 could be an exciting time for Yankee fans when Eovaldi’s on the mound. 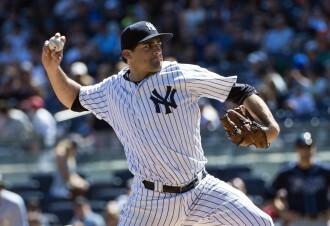 With a nasty splitter and fastball that hit 102 twice last season, Eovaldi could be a monster. His numbers after June 16th are just the starting point. Who knows where his numbers could go as he gets more and more acquainted with the splitter. If he stays healthy, Eovaldi could explode in 2016. Yankees fail to record a shutout in 2015, but was it close? Excellent stuff, where are they gonna get you on the main site? Eovaldi’s going to be an ace next year! Great read. Just wanted to add that i feel a big part of the development of his splitter was the added velocity on the pitch. He went from having the splitter sit at 84-86mph from all of his starts through to 88-91mph. You see this junp in velocity starting in his start on the 26th. Thats also when you start to see the extra movement on the pitch. There’s even more movement added from thereon. I think you see that it took a couple of starts with the new grip to get comfortable and thats really when we saw what he could do. Definitely. I feel that the velocity increase on the splitter is a big reason his fastball batting avg against dropped. As the splitter’s velocity got further away from the slider and closer to the velocity of his fastball which is a fairly straight pitch it helped play the fastball up even more because the splitter looks like a fastball til the last second when it drops off the table.